eye see in black and white, originally uploaded by electrolyte2006. 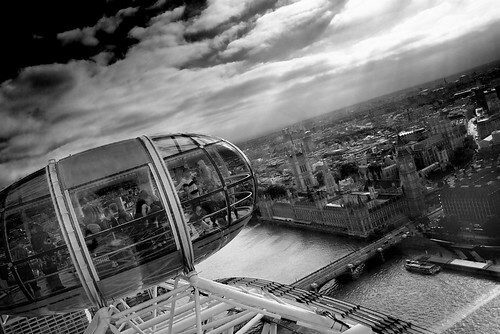 It is so difficult to take artistically interesting photos from the London Eye. I have seen 100s of photos of the thing so most photos are quite clichéd. You aren't helped by the fact that the best view of London is right at the top and you are only there for about a minute. Hopefully I've managed to make an interesting photo here. Anyway, I am quite pleased with this one.